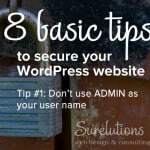 Are you managing the essentials to keep your WordPress site safe? Do you know where your domain and hosting lives? You should.